Yes, smartphone use is probably behind the spike in vehicle-related deaths. So why isn’t more being done to curb distracted driving? Yes, Smartphone Use Is Probably Behind the Spike in Driving Deaths. So Why Isn’t More Being Done to Curb It? Our distracted-driving policies are a wreck—and may soon get worse. Studies suggest that about two-thirds of drivers admit to engaging in smartphone activities while driving. The U.S. has seen a 14-percent spike in roadway fatalities over the past two years. It’s also seen the biggest back-to-back increase in motor vehicle–related death rates per mile driven in more than 50 years and 37,461 lives lost by drivers, passengers, cyclists, and pedestrians in 2016 alone. What’s to blame? Many experts, writers, and organizations are pointing to smartphone use and other tech-related distractions while driving as major culprits. Official statistics from the U.S. Department of Transportation seemingly counter this claim, attributing only about 9 percent of traffic deaths to distracted driving in general and far fewer to phone use specifically. In fact, the DOT stats suggest that even that minuscule percentage attributed to phone use has dropped over the past year. 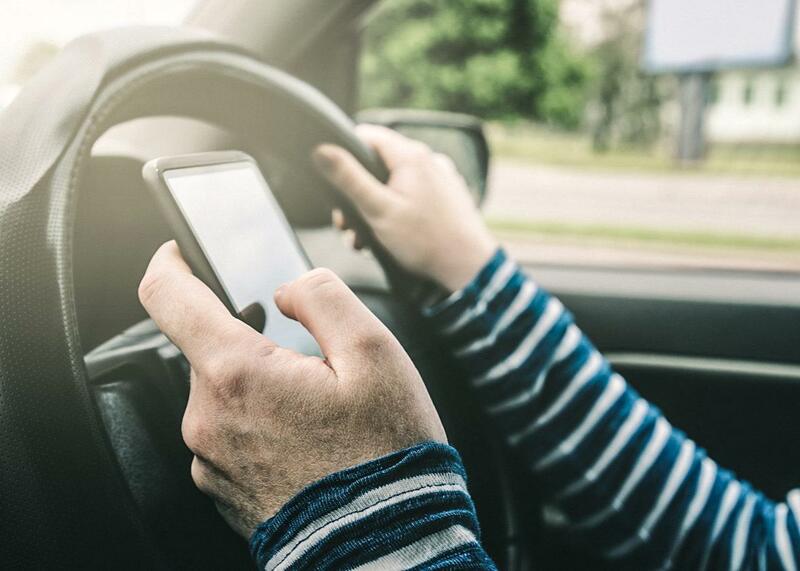 The past 20 years of work in cognitive science have been showing just how dangerously distracting phone usage of almost any kind can be to drivers. Cognitive scientists have found that, contrary to popular belief, hands-free phone conversations result in the same drop in driving performance as hand-held phone usage. Studies have even pointed to a level of impairment comparable to drunk driving. And despite often being marketed as a safety feature by car manufacturers, recent studies also show that dashboard-integrated hands-free calling and texting are little or no better. Yet drivers can’t seem to help but take their eyes off the road to respond to the pings and draws of their devices. A 2016 AT&T study and a 2017 AAA study both suggest that about two-thirds of drivers admit to engaging in smartphone activities while driving, which includes talking, reading and sending messages, or browsing. The answer, it seems, is thousands. That’s because the push to address the issue has run into some serious roadblocks. As Slate contributors have pointed out over the years, there has been a mess of legal issues involved in attempts to address these problems. Laws addressing driver distraction are often arbitrary and don’t keep up with the changing technology that both help and harm a motorist’s ability to safely manage their vehicle. They also vary widely from state to state and even between states and cities. Even where meaningful laws exist, they’re often minimally enforced. Courts are still determining who can be held responsible in phone-related collisions. And, as I noted above, government collection of information on device distraction remains deeply flawed. In recent years, the Obama administration and state governments made some important, if limited, progress in addressing the issue of smartphone-driving impairment, mainly in the form of federal design guidelines and state-level traffic laws. 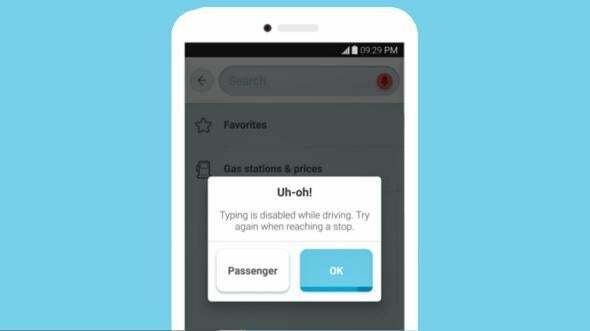 For example, legislatures and voters in 47 states in the U.S. have outlawed texting while driving, and 15 prohibit hand-held phone use while behind the wheel. (It would be 16, but Maine’s notorious Republican governor Paul LePage vetoed a statewide hand-held phone ban in July.) Back in 2011, when Hersman was the chair of the federal NTSB, the board officially recommended a nonbinding nationwide ban on all portable electronics in cars. 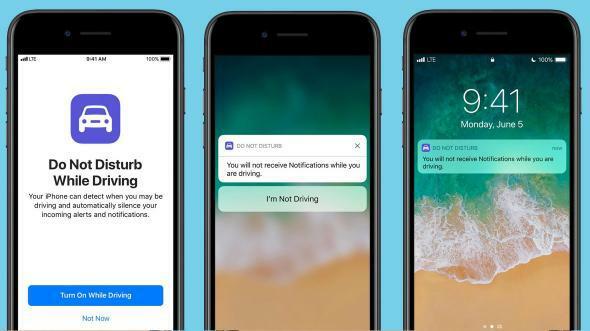 Then–Secretary of Transportation Ray LaHood never endorsed the recommendation, but his DOT did urge states to adopt texting bans and push to create guidelines that gave a modest nudge to the tech industry to incorporate certain safeguards on their devices. But even that modest progress is now under threat as industry lobbyists pressure the Trump administration, his Secretary of Transportation Elaine Chao, and some states to roll back regulations. There are reasons to fear that governments may put the interests of big business above their duty to keep our roadways safe. First on the chopping block may be a set of guidelines regarding smartphone design, released by the Obama administration this past fall, called Phase 2. Phase 1 of the voluntary rules to reduce driver distraction, which the agency finalized in 2013, only covered electronic equipment that had been originally installed in a vehicle, such as touch-screen infotainment systems for phone calls and navigation. But the new Phase 2 guidelines directly targeted the technology most associated with modern distraction: mobile devices. The recommendations included guidance that every smartphone should be equipped with an automatic Driver Mode that reduces its functionality when in motion. They also suggested that these devices should better “pair” with in-cab dashboard systems. The electronics industry wasn’t pleased. In February, for example, the Consumer Technology Association, a trade organization that lobbies for companies like Apple and AT&T, sent a letter to relevant Trump Cabinet officials urging them to reconsider the Phase 2 guidelines. Even though the lobbyists acknowledge that compliance is entirely voluntary, they fear that the recommendations create, in the words of the CTA letter, “tremendous pressure for industry to adhere to them,” because failing to do so could generate the appearance of disagreement or disregard for the rules. The correspondence continued, stating that “we believe it is essential that this guidance project initiated under the last Administration receive a complete de novo review by the Trump Administration.” Translation: Scrap the whole thing and start over. Another trade group, CTIA - The Wireless Association, whose lengthy membership roster includes nearly every major telecom company and electronics manufacturer, issued a public comment calling for the guidelines’ full retraction. In various forums, these lobbyists have leveled every possible criticism: The guidelines will stifle innovation. They’ll be complex and costly to implement. They’ll result in more distraction as drivers try to circumvent restrictions. And besides, since when does the Department of Transportation have authority to regulate consumer electronics? The fate of the Phase 2 guidelines, and the larger federal government push to address the problem of driver distraction, now rests largely in the hands of Secretary of Transportation Chao. It’s unclear how she will approach this responsibility, though. One striking thing that sets Chao apart from much of the rest of President Trump’s Cabinet is that she’s actually qualified for the job and hasn’t spent her career working to undermine the core mission of the department that she now oversees (looking at you, Betsy DeVos, Scott Pruitt, Ben Carson, and Rick Perry). Still, she’s emblematic of the swamp that the current president promised to drain. In addition to her high-level government service in both Bush White Houses that marks her as a Washington insider, there’s her marriage to Senate Majority Leader Mitch McConnell. Chao also sat on the board of Wells Fargo from 2011 until she joined the administration (during which the company agreed to pay a $185 million settlement over fraud allegations), and she will continue to receive millions of dollars in compensation. These ties and her past government work certainly suggest she will regard new safety rules with suspicion and may attempt to dismantle existing guidelines. And if we take the actions of the Trump administration and the Republican Congress so far this year as any indication, then there’s reason to expect active favoring of corporate interests and open hostility toward any attempt to regulate business. Industry groups have also been applying pressure at the state level. For example, telecommunications lobbyists maintained a visible presence at the hearings leading up to Maine’s hand-held cellphone ban, the one vetoed by the governor this summer. As Michael Mechanic reported in Mother Jones, the industry group CTIA also went “to bat against legislation in Massachusetts and New Hampshire that [sought] technological barriers to distracted driving,” such as rules that would have compelled smartphones to disable emailing and texting functions for drivers moving at more than 5 miles per hour. As revealed in a letter obtained by FairWarning, the CTIA claimed that such requirements would be “unworkable” and suggested that technology couldn’t possibly make distinctions between a driver and, say, his or her passengers, or someone riding a train or bus. Of course, as FairWarning notes, several app developers are already addressing this problem, and pairing phones with dashboard systems also helps make such distinctions. Between these drives to dismantle the slim progress we’ve made to curb fatal distracted-driving accidents, the near future of road safety looks bleak. Though some of us may be counting on a near future where autonomous vehicles make human errors of all kinds obsolete, there’s likely to be years of transition before that era arrives (and potentially fraught ones, considering the Trump administration’s stances and actions on driverless cars). In the interim, millions of human drivers will continue to get behind the wheel, each time risking that the temptation of a ping, a fumble with a screen, or a quick selfie will take their attention off the road for the wrong few seconds. We shouldn’t let the hope that autonomous cars will arrive tomorrow keep us from also working to make the roads safer today. Well-written state laws against bad driving habits and federal guidelines about the design of in-car infotainment systems and personal electronics can send crucial signals about the dangers of these distractions. It’s unlikely that we’ll make the needed cultural shifts against these dangerous diversions if these behaviors remain legal and these ever-changing technologies remain unregulated. As more infotainment systems come to cars and our vehicles do more, but not all, of the driving for us, the temptation of distraction will only get worse in the near future. Even before Trump, laws, guidelines, and devices weren’t keeping up. Now, even patchy progress may be undone by an administration dead set on deregulation and an industry hungry for our attention—even if it comes at the cost of its citizens’ and users’ lives.